BLOOMINGTON – A local leader is weighing in on the new administration in Springfield. Bloomington Mayor Tari Renner is optimistic about Governor JB Pritzker and thinks early progress is happening. “We’re only a few weeks in but at this point things seem to be happening and there is some promise,” said Renner. 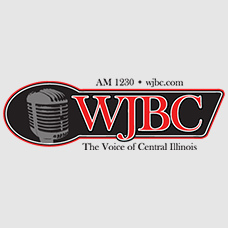 Renner told WJBC’s Scott Laughlin there are rumors of a capital bill which would be beneficial for the state and Bloomington. “In our particular community it would allow us to do more with paving streets, fixing sidewalks, our sewer system and possibly the Hamilton Road extension which we’ve been talking about for years,” said Renner. Renner added he’s supportive of a $15 minimum wage bill which passed the state Senate last week. “We have some seasonal employees, I don’t mean lifeguards at a pool, who work nine to ten months for us who are trying to support a family and don’t earn a living wage,” the mayor said. “I think that anybody who spends the bulk of their life delivering public services to the city of Bloomington they ought to be able to afford to live in the city of Bloomington. I do support that effort, its a gradual one over time and we can afford it and we will afford it,” said Renner. The measure passed in a House committee Wednesday and could go to the floor Thursday.